This stylish Ladies' Silver Tone Stainless Steel Bracelet Watch is the perfect fashion accessory and timepiece for the style conscious woman. The contemporary silver tone makes for a eye-catching design, ideal for elevating your daily outfits. The minimal and sleek dial boasts three subdials and roman numeral time markings. 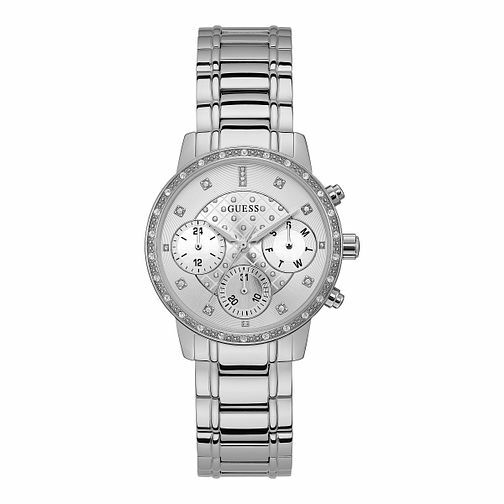 Sleek, sophisticated and impossibly elegant, this watch is perfect for the modern day woman.